Managing your personal finances can be difficult so its normal to ask people for advice. Often you will receive the same advice from a number of different people. That is usually a good thing but in terms of your personal finances it might not be. There are several common misconceptions out there when it comes to personal financial management. Some of the advice you may receive about how to better manage your personal finances may end up costing you money. 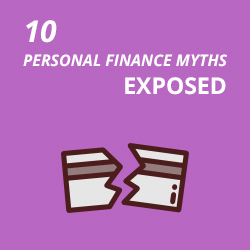 This short article will outline to you some of the common personal financial myths out there and help you to make much more sense of them. It will take you through some of the biggest potential pitfalls out there and try to help you avoid them. 8 Mind-blowing Apps Which Can save You Money. Significantly! Managing your personal finances and saving money can be complicated. There are so many things to track and so many unexpected events, keeping your finances in shape is no easy task. Luckily help is at hand, there are an increasing number of web based tools being developed which can help to make this task much easier. Many of the best solutions can even be accessed through an app on your phone. There are a wide variety of apps out there; some are very sophisticated others are a lot simpler. You do not need to always choose the most complicated one, you just need to choose the one that is the best fit for you. 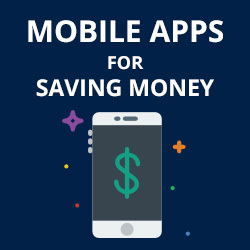 This short guide will provide you with a list of some of the most helpful money saving and budgeting apps out there at the moment. Download these and make sure your financial life a lot simpler. At this time of year many people will have already set financial goals. Some will also have set down a budget which they have been sticking to and others will have already gone off course. 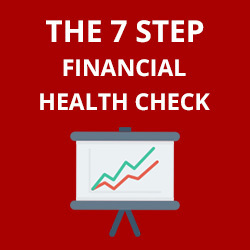 Whatever situation you may be in it is always good to conduct a periodic financial health check. Just like your physical health, your financial health should be monitored on an ongoing basis. This may seem like a difficult thing to do but it is actually very easy. It involves a number of very straight forward thought processes and planning exercises which are really simple and effective. Managing your financial health is a long term process requiring constant attention, just like managing your actual health. This short guide will provide you with the information you need to conduct your own personal financial health check. Managing your personal finances is not always easy. There is a lot of information available to help you to identify what you should be doing, but what about the things you should not be doing! It can be easy to try to take additional steps to improve your personal finances but much harder to change certain habits you may already have. 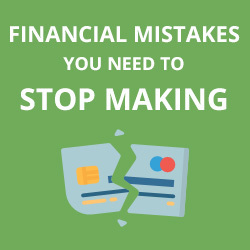 In some cases you may have been making financial mistakes for five, ten or more years and have never even realized it. This short guide will help you to identify things you may be doing which are hurting your financial health. Use this guide to help you to identify the mistakes you may be making and learn how to fix them.